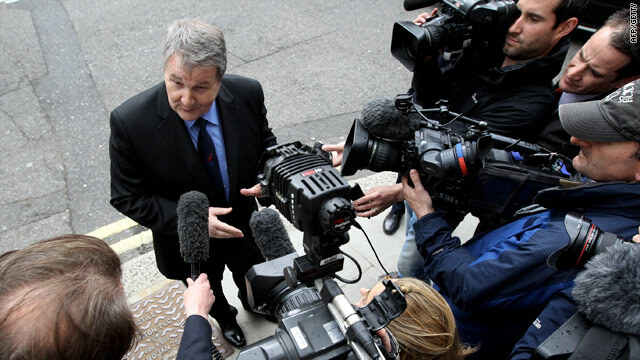 Derek Simpson, joint General Secretary of Unite, pictured here on Monday, is planning to challenge the High Court ruling. London, England (CNN) -- The union representing British Airways cabin crew planned Tuesday to appeal a ruling that prevents them from going on strike. The leaders of the Unite union called Monday's judgment by the High Court in London "an absolute disgrace" and a "landmark attack" on the right to take industrial action. "Because of the far-reaching consequences of this injunction for all trade unions and indeed for our democracy, we are seeking leave to appeal immediately," Tony Woodley and Derek Simpson said in a joint statement. Unite had planned a series of four strikes, with the first one set to start at midnight (7 p.m. ET) Monday and scheduled to last through Saturday. The court issued an injunction Monday afternoon barring the union from taking any action. Three more strikes had been scheduled through early June. Unite, which represents 95 percent of British Airways' 15,000 cabin crew members, is unhappy with the airline over pay and working conditions. The long-running dispute led to two strikes by cabin crews in March, but the two sides have been unable to resolve their differences since then. In seeking the injunction, British Airways said it believes Unite failed to comply with laws on how strike ballots should be conducted.